The New Year universally symbolizes a fresh start. It’s the time when we try to break bad habits, form better ones, and vow to do better for ourselves. Setting goals for ourselves if a New Year’s Eve tradition for many of us. We set new goals alongside going to a party, having champagne, and, in some cases, having a special meal. Many countries around the world have New Year’s Eve food traditions which, according to tradition, help give the eater good luck and fortune in the New Year. Perhaps you’ve heard that foods like black-eyed peas are meant to give you luck, but do you know the reason behind that tradition? Keep reading for three New Year’s Eve food traditions you can adopt into your own New Year’s Eve traditions. What you’ll find about many New Year’s Eve food traditions is that the foods represent things of fortune such as money, coins, and gold. One such food that represents coins is black eyed peas. Many people in the U.S. know the tradition of eating black-eyed peas for good fortune in the New Year. In the southern U.S., that food tradition is expanded to include a few other foods. On New Year’s Eve, many southerners, especially those in the Lowcountry, eat what’s called a Hoppin’ John. This dish includes field peas or black-eyed peas cooked with pork. The peas are often served with cooked greens and cornbread which represent money and gold respectively. If you like seafood, you might try the Polish and Scandinavian tradition of eating pickled herring on New Year’s Eve. Abundant in the Baltic Sea, herring is frequently eaten in Poland and Scandinavian countries like Sweden and Finland. Herring is a salty fish and part of the larger fish family that sardines are a part of. But on the stroke of midnight on New Year’s Eve, many people in Poland and Scandinavia eat pickled herring which is meant to bring a year of prosperity and bounty. That’s likely due to the herring’s silver coloring. In both countries, you can find pickled herring served with onions, cream sauce, or on bread. A fun New Year’s Eve food tradition you can pick up is one that originated in Spain at the beginning of the 20th century. In Spain, many residents come out to Madrid’s main square to wait for the clock tower to chime 12 times for the turn of the New Year. Those in the square and watching the broadcast at home have 12 grapes ready to go and proceed to eat one per strike of the bell at the turn of the new year. Each grape represents good luck for each month of the year. As we mentioned, this tradition solidified in the early 1900s. The idea was supposedly dreamed up by grape producers in southern Spain who had a bumper crop of grapes at the time. Since then, the tradition has stuck. 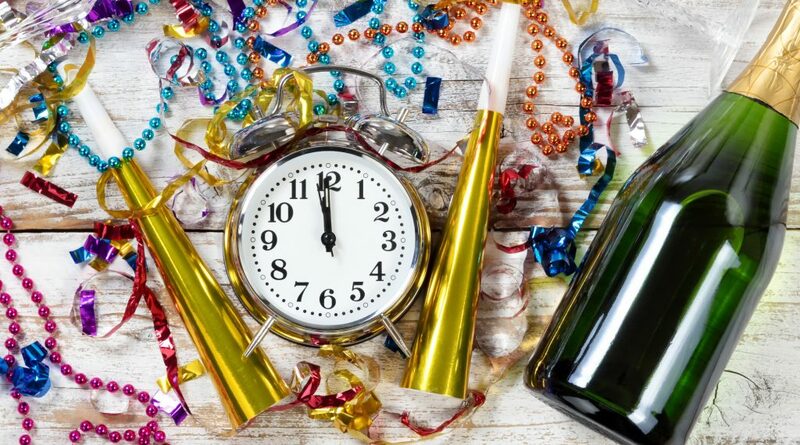 New Year’s Eve food traditions are fascinating to read about and even more, fun to try. There are so many out there that you could start a tradition of trying new New Year’s Eve food traditions from around the world. Another great way to round out the year is to recap some of your favorite food trends from the past year. See 2018’s best food trends for inspiration.